Stakeholder management is a key activity for Product Managers since a product’s success is largely dependent on the efforts of other departments within a company. Without the involvement of stakeholders, ideas simply remain ideas and consequently, it may be difficult to get products developed and launched. As Product Managers, we’re not only called upon to deliver products that add value in the market but also to lead teams to success. Stakeholder management has to be intrinsically part of the Product Manager’s DNA. 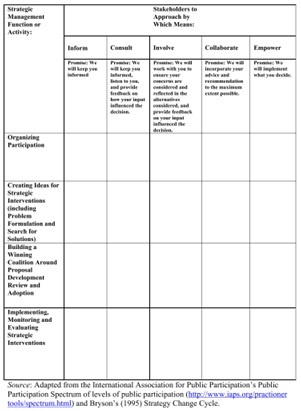 This blog provides some practical tools that can assist you through the stakeholder maze. In its simplest form, stakeholder management is the process by which an individual establishes and maintains support from internal staff members and external parties for a new product or project or change within the organisation. For successful stakeholder management, Product Managers require information about their stakeholders which includes interests, culture, concerns and opinions. Use some of the tools identified below for better stakeholder management. Note: Stakeholders can be individuals or groups or even organisations. Make sure to associate one contact for an organisation or group. After the brainstorm session, you’ll have a big list of names accompanied by lots of information about the stakeholder. To structure the list and filter out important stakeholders from less important stakeholders, map the information gathered in different ways. This way you can visualise different relationships eg: power vs interest, influence vs interest. This will help you set out your stakeholder strategy. A good addition to a stakeholder map is to add how the stakeholders influence each other (Eden and Ackermann). This will help you determine who the most influential or central stakeholders are. 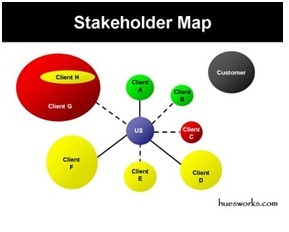 This stakeholder map visualises power vs interest of a stakeholder. 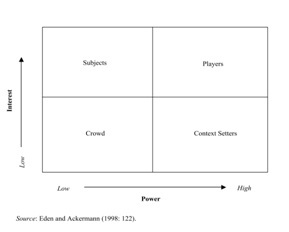 According to Eden and Ackerman using this grid helps determine which players’ interest and power bases must be considered in order to address the problem/issue at hand. It highlights coalitions that can be encouraged or discouraged, whose buy-in should be sought or co-opted. 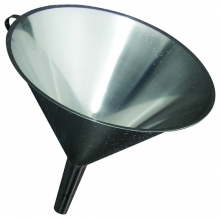 Further, it provides some information on how to convince stakeholders to change their views. 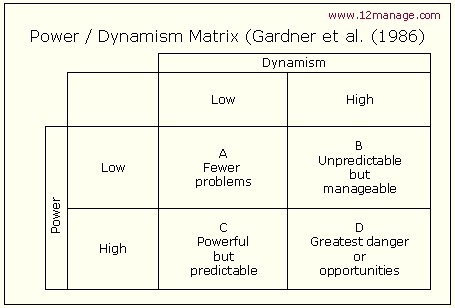 This stakeholder matrix from Gardner et al visualises the power a stakeholder has in relation to how dynamic the stakeholder is in changing the position/opinion he/she holds. When dynamism is low the stakeholder’s position/attitude is predictable and their expectations can often be met in a relatively easy way. 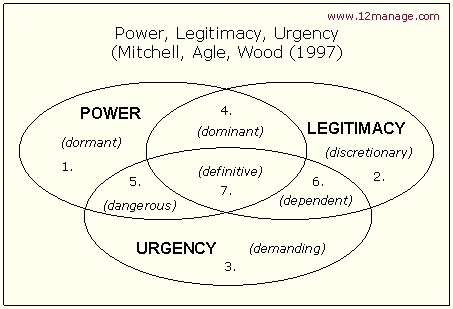 If a stakeholder is placed in area 1, 2 or 3 they are called Latent Stakeholders. These are stakeholders with only one of the three characteristics – for example, an animal rights group can have an urgent issue, but with neither power nor legitimacy, they can have demands but not get the management attention they need. 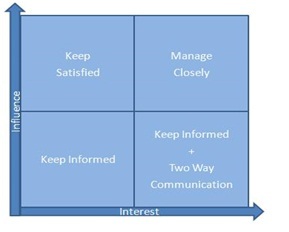 Stakeholders in area 4, 5 or 6 are called Expectant Stakeholders and have two of the three characteristics. These stakeholders are typically employers and investors. The stakeholders that have all three characteristics in 7 are called Definitive Stakeholders and always take top priority. It is good to know who your supporters are but it also worthwhile knowing who isn’t a supporter. 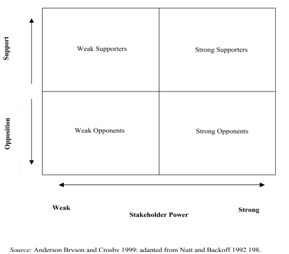 This stakeholder map from Anderson, Bryson and Crosby gives you an overview of your supporters and opponents and the power they wield within the organisation. Depending on the subject of the problem/issues/ discussion point it will be necessary to approach each stakeholder in a different way. 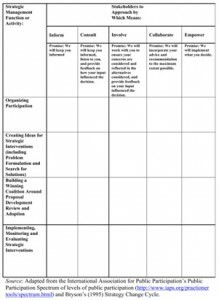 The Participation planning matrix provides you an overview of who and how you need to approach a stakeholder for different problems/issues/discussion points. This diagram below created by Glenn Hughes illustrates the relationship with the stakeholders (here displayed as the client) and gives feelings how the stakeholder thinks about the product/service/project/change. The Stakeholders with a big green circle and a solid line will be key Stakeholders for the project. Stakeholders that need to be addressed and the ways to approach them. Determine who is on your team and can help you get other stakeholders on board? Find common good and structure a winning argument around this. Good stakeholder management is a combination of planning and communication. Having the knowledge will provide you with confidence to approach and expertly manage your stakeholder. Learn more about Stakeholder Management in our upcoming Essentials of Product Management course.